Why? Well, Rebrickable has been attracting more and more MOC designers to submit their creations. However, a growing trend is that a lot of them don't have any websites for me to link to, nor to download their building instructions from. Until now, I have been manually uploading various files to the Rebrickable server for hosting. Bricksafe will provide a more flexible means of storing those files now, and even better can be automated for new users. It's 100% free. For now all users have a 2GB quota, max file sizes of 100MB each and have unlimited bandwidth. This may need tweaking over the coming months as I assess how the site gets used, but won't change too much. Eventually, I will include an option for premium accounts with additional features and quota. You can upload any type of file to Bricksafe: images, CAD files, PDF files, Videos, whatever you like. And of course, all uploads are instantly accessible (no approvals required). Bricksafe must remain focused on LEGO however, so inappropriate files will be flagged and removed. I have put a lot of thought into the infrastructure behind Bricksafe and am confident it can live up to it's name. I considered many different architectures and in the end went with one that prioritises the safety and accessibility of your files first. 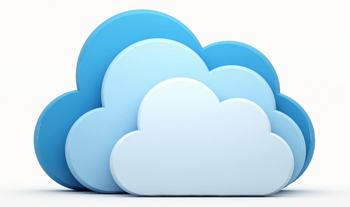 Your files are stored in many redundant locations using Amazon's cloud services and is also continuously being backed up to different data centres around the world. I have many years of experience in building and supporting these kinds of systems as part of my day job, and of course the 2 years behind Rebrickable. I'm not going anywhere, so Bricksafe will be a stable platform to store your files for many years to come. All images can be accessed in any resolution you desire via intuitive URLs, with some common ones easily accessible via a single click. 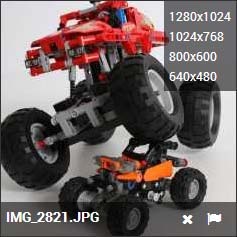 When hovering over an image, an overlay will slide out displaying a number of common resolutions that are smaller than the original image. Click on one of them to display that image in that resolution. Note that it is not limited to the resolutions displayed. You can put in whatever you like! Just add e.g. /800x600 at the end of any image URL. Notice that the image will never get distorted if the resolution does not match the original aspect ratio. Rather, it will crop the image around the center. Never worry about resizing images before upload again! You can follow any user on the site via RSS or Email notifications (still working on the email option). This means that when your favourite designer adds new stuff, you will get notified! This is a great way for designers to get noticed, and for bloggers to find content. Each page you create on Bricksafe can be made private, or link-share only. What is the point of having private files when you can't share them? This is especially useful for MOC designers who are readying to announce a new creation but want to get everything ready first. Once done, the private page can be made public for everyone to see. Just like with Rebrickable, there will be an API for Bricksafe coming very soon. This will allow you to create your own interfaces if you like, your own apps, as well as enabling some great Rebrickable features I'm planning. But mostly, it's for the stuff I can't think of that others will use this for. Bricksafe is brand spanking new, so there will no doubt be some polishing required. If you encounter any issues or have suggestions, please feel free to send me an email or comment below. I think it's a great idea, and if it is similar to the ease of use as this site - I'm sold. great news!! looking forward to try! 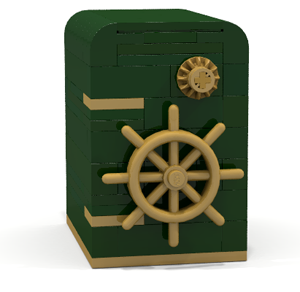 Sounds good but I hope it's more usefull then that safe MOC. You can't open that thing, no door or hinges. That makes it pretty secure then, right? "I am Bender, please insert girder" - Bender B Rodriguez.